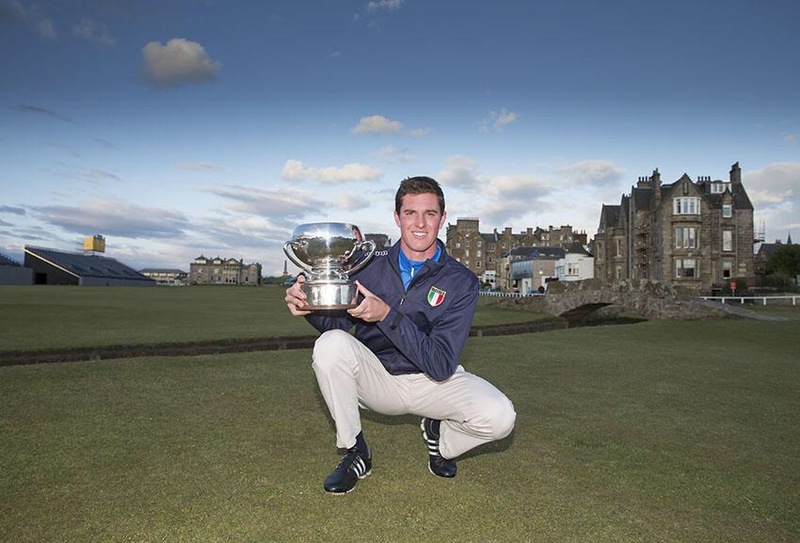 UPDATE – Italy’s Frederico Zucchetti (-2) won the 2015 Links Trophy with compatriot Filippo Campigli (-1) second. The competition was reduced to 54-holes after strong winds saw Saturday’s Rd. 2 cancelled on the Jubilee Course. 144 golfers from 22 different countries will tee off tomorrow in the 27th St. Andrews Links Trophy, a Championship which has quickly established itself as one of the ‘Majors’ in men’s amateur golf. Played over three days the competition will finish this Sunday, 7th June. A list of all the past winners can be found in an Appendix at the end of this article. The most famous is Justin Rose who won the Links Trophy in 1997. Only Craig Watson (1992 and 1998) and Barclay Howard (1994 and 1996) have won the title twice. Interestingly given the cosmopolitan nature of the field the trophy has only been won by players from outside Great Britain and Ireland (GB&I) twice – Australia’s Stuart Bovier in 1990 and Daan Huizing from The Netherlands in 2012. Huizing, who had won the Lytham Trophy by 11 shots just a few weeks earlier, set a scoring record of -23 (65 New, 64, 68 and 67 all Old) and won by an astonishing 14 shots. The Links Trophy is a 72 hole stroke play competition normally played over a combination of the Old and New Courses on the first weekend in June. Due to ongoing preparations for The Open the Jubilee is unusually being used for two rounds in 2015. Entry, which cost £60 this year and closed at the end of April, was open to golfers whose handicap did not exceed scratch (0.4). After various National Golf Union nominations the ‘ballot’ is determined by World Amateur Golf Ranking (WAGR) rather than handicap as is more often the case. This year, when the entries were finalised and ignoring nominations, the lowest qualifying player stood at 563rd in the WAGR list. Days 1 and 2 will see a total of 36 holes contested on the Jubilee, a 6,742 yard par 72 course (white tees) that many believe to be the toughest across the whole Links. Following a top 40 and ties cut the remaining players will contest a final day 36 holes on the Old, which plays 6,721 yards, again to a par of 72 (white tees). 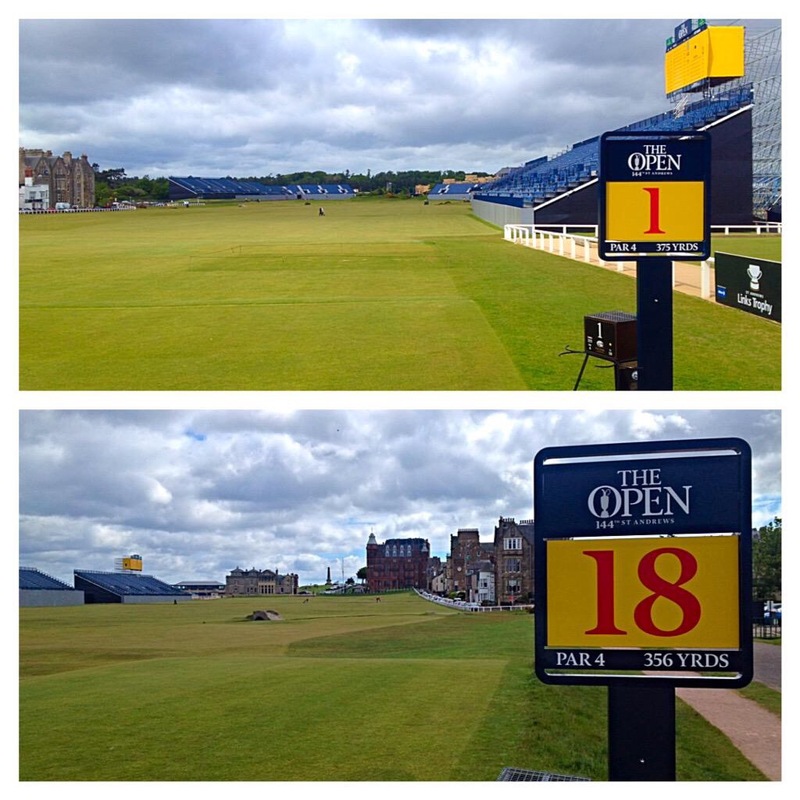 With The Open being held at St. Andrews in 6 weeks time most of the stands and signage will be in place which will no doubt add to the event’s atmosphere this year. 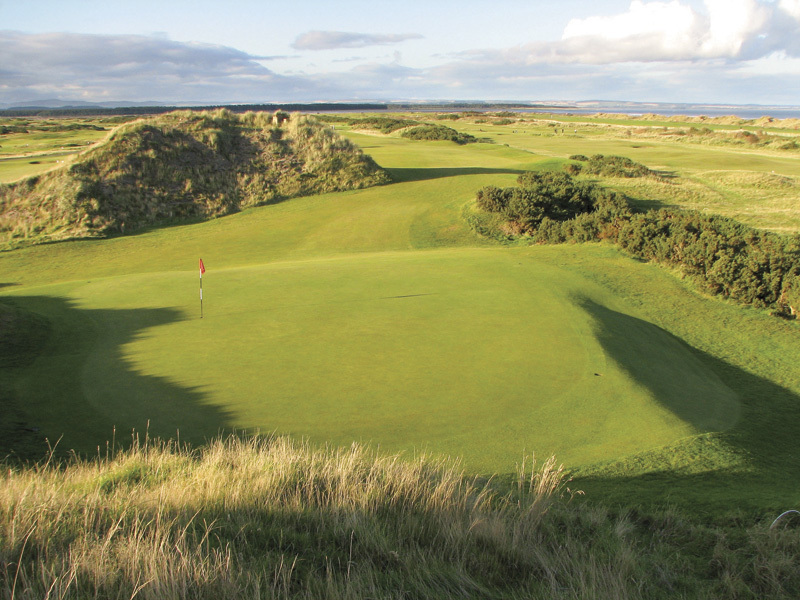 The start sheet for Rounds 1 and 2 can be viewed here – 2015 St. Andrews Links Trophy Draw. Ryan Ruffels (AUS / 19) – Australian Boys champion in 2014 and 2015. Cormac Sharvin (IRE / 21) – Recently placed at Lytham as well as the Irish and Scottish Amateurs. Gary Hurley (IRE / 22) – finalist at the Spanish Amateur and 2015 Palmer Cup team member. Romain Langasque (FRA / 26) – recent winner of the Southern Cross Invitational and Mouchy Cup. Mario Galliano (ESP / 29) – early season winner of the Beleares Cup and European Nations event. Lucas Herbert (AUS / 30) – finished 4th, setting a new CR, at last week’s Scottish Amateur. Ashley Chesters (ENG / 32) – 2013 and 2014 European Amateur champion. 2nd in Welsh Amateur. Nick Marsh (ENG / 35) – Top 10s in the West of England, Welsh and Scottish Amateurs in 2015. Cameron Davis (AUS / 36) – 2015 Australian Amateur champion. Grant Forrest (SCO / 44) – defending champion with solid 2015 US College form. Ewen Ferguson (SCO / 47) – two wins in Scotland in 2015 and recent Top 5 at Irish & Scottish Ams. Gavin Moynihan (IRE / 48) – 2013 Walker Cup player with welcome win at the Irish Amateur in May. Ben Eccles (AUS / 57) – Top 10s in most of the big 2015 Australian amateur events. Teaghan Gauche (RSA / 65) – Northern Open champion with a good home season behind him. Jack Hume (IRE / 69) – greatearly season form overseas, albeit form has dipped a little back home. 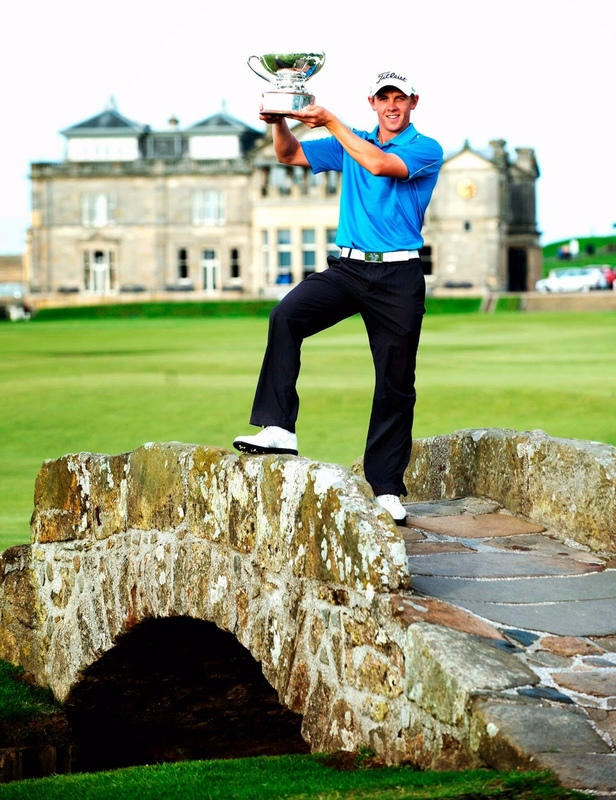 Craig Ross (SCO / 73) – winner on the 2014 EuroPro Tour and is a consistent performer. Jason Smith (RSA / 78) – South African SP champion in 2014 with sound 2015 form. Mattias Eggenberger (SUI / 79) – Good experience in GB&I whilst a student at Stirling University. Taylor MacDonald (AUS / 81) – 2014 Federal Amateur Open champion and 4th at Riversdale Cup. Daniel Young (SCO / 82) – 2015 South African Amateur finalist and winner of the Battle Trophy. Dermot McElroy (IRE / 90) – West of Ireland champion, with top 10s at Lytham and in the Irish. James Allan (ENG / 110) – winner of the Hampshire Salver, West of England and Lagonda. Jimmy Mullen (ENG / 114) – good 2015 form culminating in a win at the Welsh Amateur. Antonio Murdaca (AUS / 125) – 2015 Asia Pacific Amateur and South Australia Amateur champion. Marco Penge (ENG / 126) – winner of the junior McEvoy Trophy and Scottish Amateur in 2015. Ashton Turner (ENG / 144) – Darwin Salver winner. Top 10s – Duncan Putter, Lytham and Scottish. * The SPWAR quoted were accurate as at 3rd June 2015. You may also find it interesting to look through some betting odds for the St. Andrews Links Trophy – here’s the SkyBET assessment of the field. Fri 5th May – Overcast. Wind 16 mph. Max. 17°C / Min 8°C. Sat 6th May – Partly Cloudy. Wind 28 mph. Max. 14°C / Min 7°C. Sun 7th May – Partly Cloudy. Wind 21 mph. Temp. Max. 15°C / Min 6°C. The winner receives The St Andrews Links Trophy and this year a cheque for £500. The runner-up and third place finisher also receive commemorative medals. Reducing cash prizes are awarded to the top 10 finishers in all. In addition to the main prizes The Ian Forbes Memorial Cup is awarded for the best aggregate score on the first two days of the event – this year played solely on the Jubilee. This entry was posted in St Andrews Links Trophy and tagged Amateur Golf - Other, Links Trophy, St. Andrews. Bookmark the permalink.